Through Social media, youth is exchanging ideas & views in a win-win situation. Youth are turning into more understanding, when it comes to cultural differences and misunderstandings. Youth are now well aware of the things happening around the world because of ready information available in social media. Teachers are interacting with students and their parents efficiently. Social service is now became a trend among youth. Young entrepreneurs are attracting investors through social media. Addiction is a major negative side of social networks. Being active on social media has caused many serious disorders like insomnia, depression, poor inter-personal relationships, lack of concentration, high level of anxiety, ignorance and rudeness. Around 75% of youth creates profiles on multiple social networking sites and end up in spending most of their valuable time on updating each site number of times every day. On 8th of January 2017 a case of selficide was reported at AIIMS which is an addiction of taking selfies and this is in turn due to addiction to social networking. 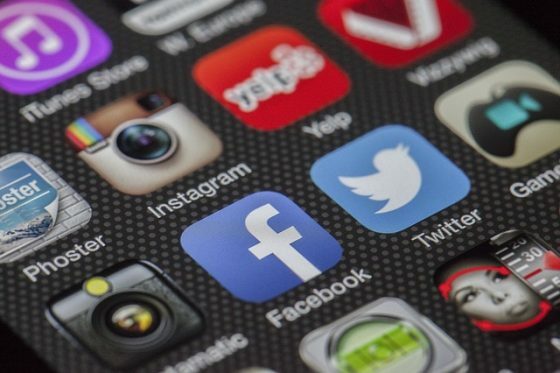 Some youngsters has lost connection and relationship with their family members and relatives due to excess use of social networking sites. It also effects them economically as the youth spends good amount of money for internet data packs. Some young people have lost jobs due to bad performance at work, because of spending a lot of time on social networks. Few young people are being trapped by criminals, who are using fake profiles in social networks to trap innocent youngsters. Social media has a great impact on youngsters. Youth needs parental guidance to what is good and what is bad, so that they can protect themselves while enjoying the benefits of social networking. According to me social media is a great boon of our society , everything is a good side and bad side as a human being we have to decide which one we will take good one or bad one. Nowadays social media is very strong most of the people they have registered their name in the social media, within a second message can spread with thousands and thousands people if it is good purpose then it’s ok but many times we see its use for bad purpose and fake news comes and people enjoy. Youths registered their profile in different social media and update several times in the day. As a result they wastage their time , they are absent minded from their study but their valuable time they waste when they should study and they have get good marks and they have to start their career in a proper manner. Secondly peoples are busy with their smartphone they don’t care about their family members. Third one they have addiction without without this they can’t manage I e they have access their mobile upto late night they can’t sleep , even they go to the toilet they have to carry their mobile as a result people suffered various types of decease like insomnia , insecurity etc. peoples have lots of friends in social media but they don’t have proper relation. They are busy with their virtual world but when they want to come into their real life they are in trouble. Sometimes people are in trap even they cheat financially also. Sometimes they have have lost their life also .So people should use it for Good purpose. It’s like an addiction ppl spend lot of time in social media…. it’s one of major cause of depression when they fails in real life.. I think social media is a good platform for communicating with others.recently,it is estimated that approx 2.7 billion people are connected to social media.through social media people are aware about the things what is happening and what is good for them or what is bad for them.people can express their views and moreover they can understand the differences.but excessive use of social media have some negative effects they may suffer from insomnia,they will go in depression etc.this will also create terrorism and some young people who are not aware about anything they will easily get trapped by them and moreover social media also affect the study.so,I think we should make use of social media in a balanced way so that nothing gonna wrong with anyone.it will be a great boon for us. I think social media helps a person to communicate with the people who are sitting in the two different corners of the world rapidly at a satisfactory level. Social media is a good platform to nurture our hidden talent at a big level with millions of people at same time. Now a days we can see that #metoo campaign is attaining new heights which helps females to explore the hidden faces of the reputed persons. And thats all due to the social media. Students and youngsters usually seen to spend a lot of time on the social networking sites which leads to them to choose the wrong path and sides them from their future goals. Some non social elements missuse the social media and spread fake news and primes people at the name of religion and castes which is not good for unity of our country. People spends a good money on the internet packs. But if social media is used at a limited level and missuse of social media is not being done than it will be a great BOON for us.